Often left in the shadow of its more popular sister borough, Manhattan, Brooklyn has built a very unique identity of its own over the years. This rise in popularity has given rise to a dramatic decrease in home affordability, with many neighborhoods in Western Brooklyn becoming more expensive than their Manhattan counterparts. In our series of neighborhoods within reach around the city, we picked our five favorite affordable neighborhoods in Brooklyn. With Williamsburg becoming unaffordable for many, nearby Greenpoint has become more attractive than ever. 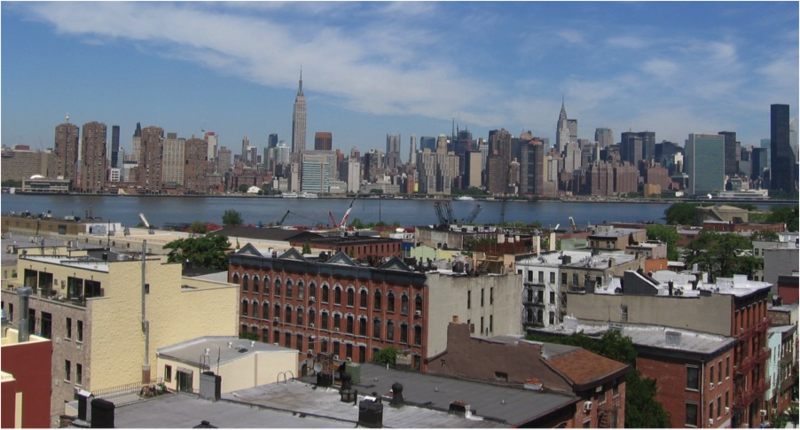 While rents average $2,200, Greenpoint makes the list due to its proximity to Manhattan and the ability to find bargains on the outer edges of the neighborhood. Greenpoint has a unique charm shaped by its Polish roots which many residents say helps to instill a close-knit neighborhood feel.